Security Locks, White Plains, NY | Thompson Lock & Supply Corp. Security Locks, White Plains, NY | Thompson Lock & Supply Corp.
Our experienced technicians can provide recommendations on the best security locks for your home or business in White Plains. 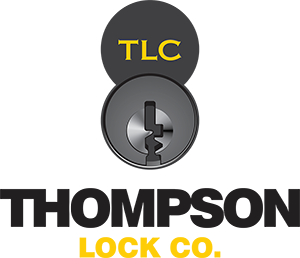 At Thompson Lock & Supply Corp., we know having the right security locks for your home or business is critical to the safety and protection of your property and the people inside. So, if you are looking to upgrade your locks or your current locking mechanisms aren’t doing the job, we have great solutions for you in White Plains, New York. Deadbolts – Deadbolts are strong security locks that allow you to add a layer of protection at an affordable cost. As the perfect addition to your home or business, you may find that deadbolts provide just the extra security you need to give you greater peace of mind. Keyless Locks – If you would truly like to upgrade the security locks at your home or business, keyless locks are incredibly popular and efficient. With a variety of styles to choose from, you won’t have the hassle of carrying keys or worrying that an unauthorized individual can gain access. Simply ask our experienced technicians for their recommendations on the best security locks for your home or business, and we will be happy to supply the quality products and services you require in White Plains. We always go the extra mile to make sure your property is secure and our timely, professional service can’t be beat. When you work with us at Thompson Lock & Supply Corp., you will see our experience and professional services are the best of the best. 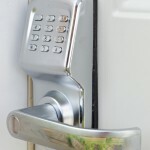 Contact us today to learn more about the features of different security locks and to schedule your installation.